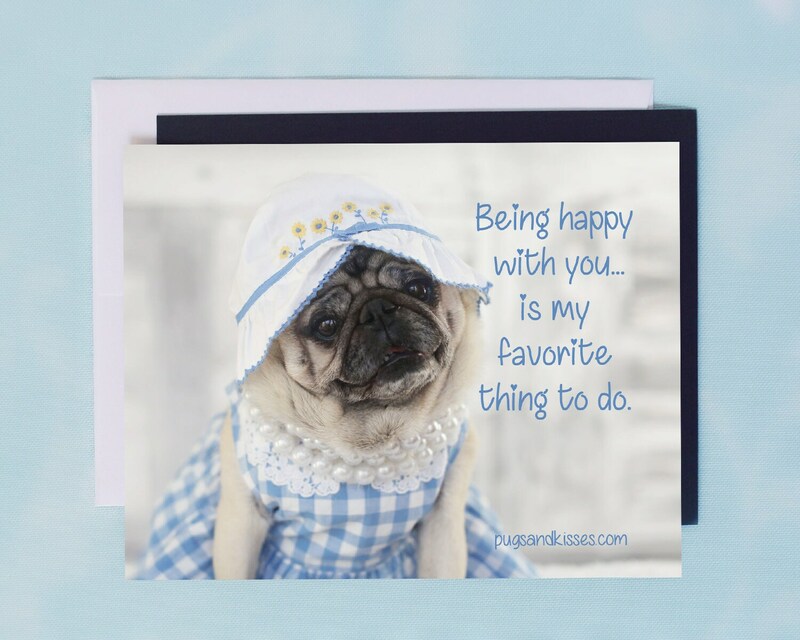 This adorable pug magnet featuring, Theodora Grace, is sure bring a smile to your face every time you see it on your refrigerator...or any other place that takes a magnet! It makes the perfect little gift, too. Your friends will be so touched by the kind sentiment.
" 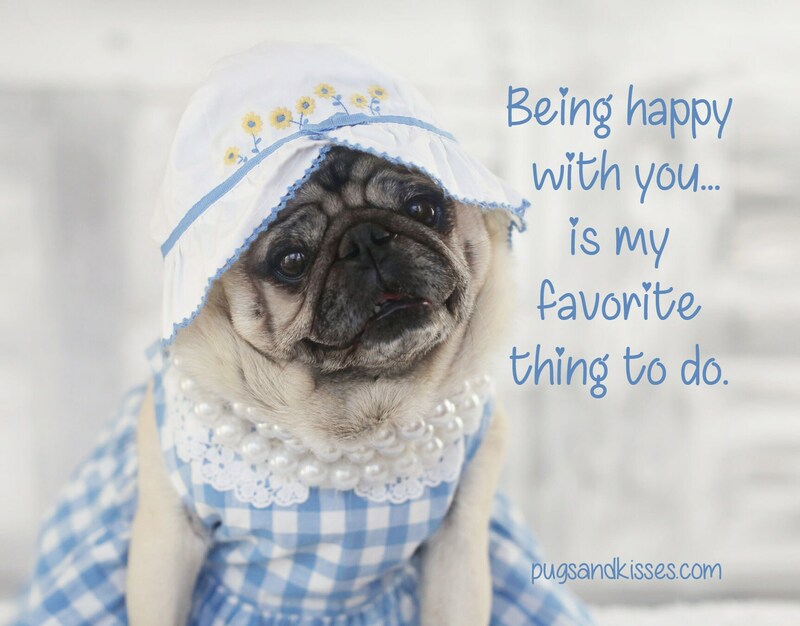 Being happy with you... is my favorite thing to do."